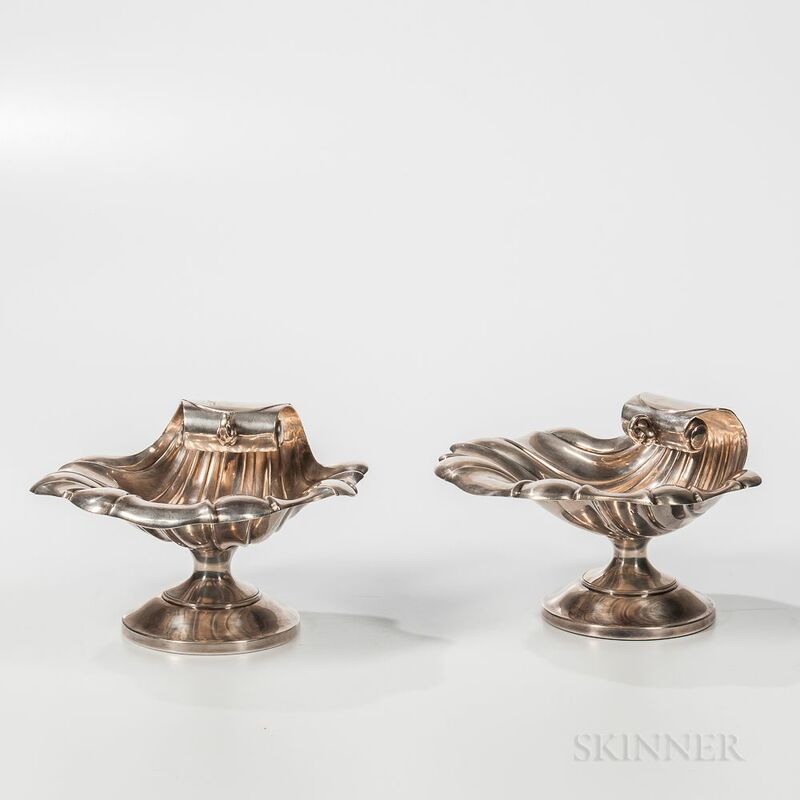 Pair of Silver-plated Shell-form Compotes, 20th century, each bowl raised on a round stem, unmarked, weighted base, ht. 6, bowl 9 x 9 in. Age expected wear, one small area of surface lose.